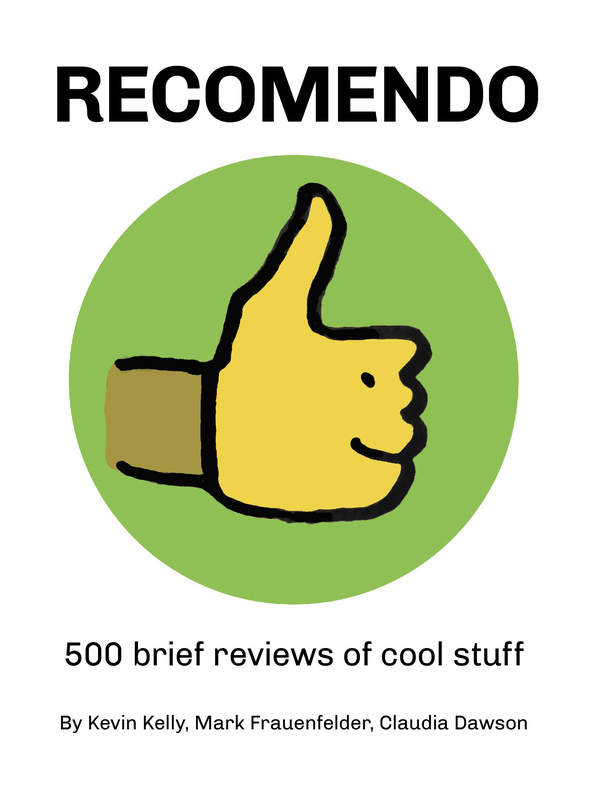 There are now over 3,000 reviews of great stuff on Cool Tools. In an effort to make that abundance more useful we’ve selected the best recommendations in a narrow field, updated the info, and formatted the reviews into a handy ebook. 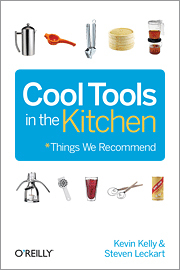 We are releasing the first of those ebooks today, as Cool Tools in the Kitchen: Things We Recommend. This collection of the best of Cool Tools was edited and updated by Steven Leckart, who formerly edited this Cool Tools website, and was designed and engineered in partnership with O’Reilly Publishers. Steven Leckart picked out the best 80 kitchen-related tools you might not know about, updated their reviews and ordering information, and stuffed them into a very portable epub format for quick browsing. He also added a sprinkling of food-tool related tips. The book resurrects from the archives some great old kitchen tools that are still great, and brings together some speciality tools that few will need, but everyone should know about (almost just as important). I found it a great refresher course to flick through this collection of highly-evolved tools, reminding me of tools I had forgotten, and suggesting others that would make a great gift for someone else. It costs $6. Yes, you can root through the archives of Cool Tools for free and eventually find all these, but for this modest price you get a carefully curated, winnowed, and updated serving of great tools specific for food lovers, cooks, kitchen mavens, and anyone who loves well-designed stuff. And you can screen it on a tablet or phone. This ebook can be viewed on any device which takes the common epub format. It has been optimized for iBooks on the iPad, but it can be screened on your computer, Nooks, and with the appropriate readers, iPhones, Android phones, and iPads. We plan to do other ebooks such as Cool Tools for the Outdoors, or the Workshop, assuming folks find this one useful.